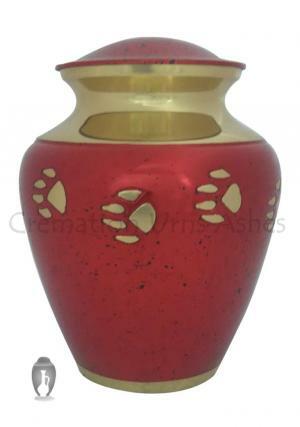 Gorgeous Red & Gold Brass paw print pet ashes cremation urn is decorated in rich glossy red with printed walking pet paws in gold. The large pet urn has the neck space decorated in gold. 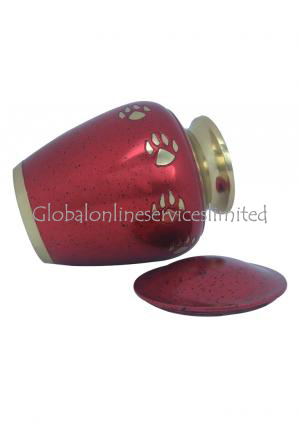 The pet memorial urn is made of brass metal and gold paw engravings. 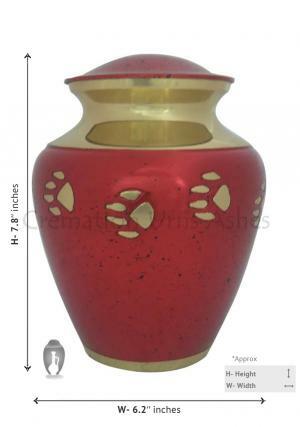 The lid of the pet urn is enameled with rich red with plain texture and decorated screw threading line on lid makes it strong and secure with complete urn. 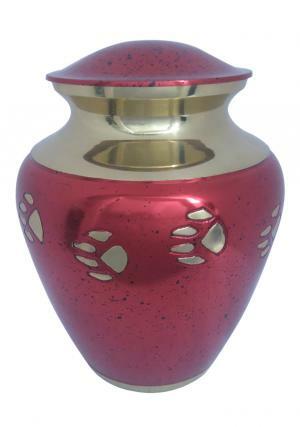 Gorgeous Red & Gold Brass Paw Print pet urn is capable of preserving ashes of pet with 40 lbs or less in weight. 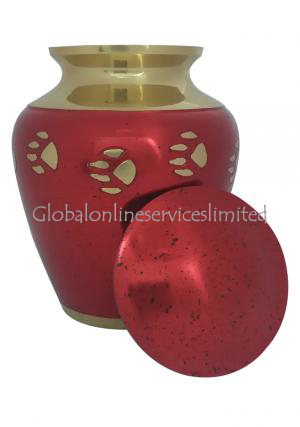 The dimensions of pet urn are 7.8 inches tall, 6.2 inches width and weighs 1.4 kg.